In 2018 the average minute sees 187 million emails sent. Quiz: How much sleep should your child be getting? In your everyday life, a minute might not seem like much. But when it comes to the vast scale of the internet, a minute of time goes much further than you ever could have imagined. That’s because the internet has a degree of scale that our linear human brains are unaccustomed to operating on. 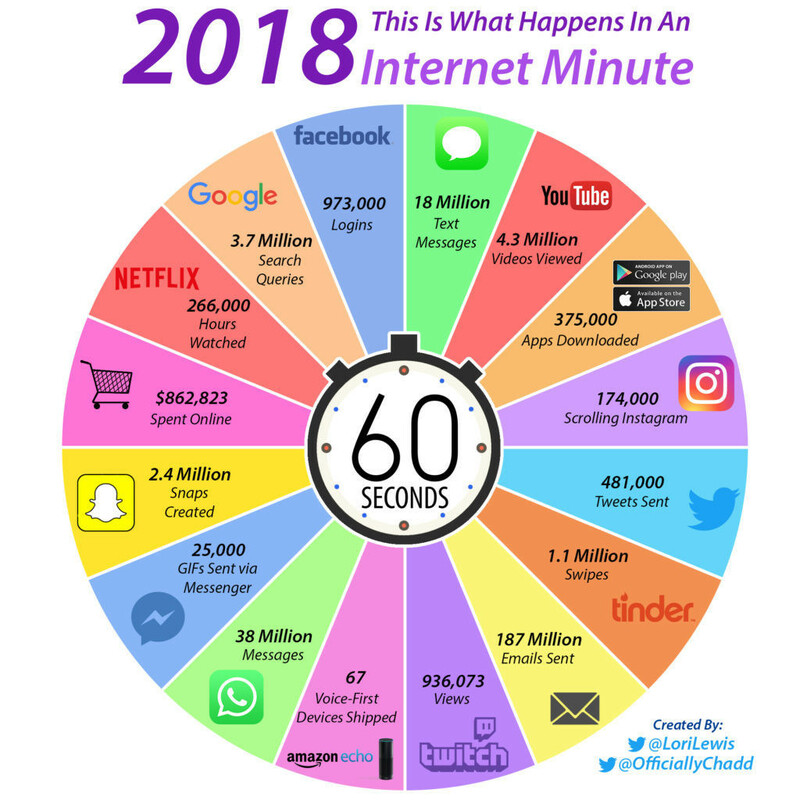 Today’s infographic is from Lori Lewis and Chadd Callahan of Cumulus Media, and it shows the activity taking place on various platforms such as Facebook or Google in each 60 second span. 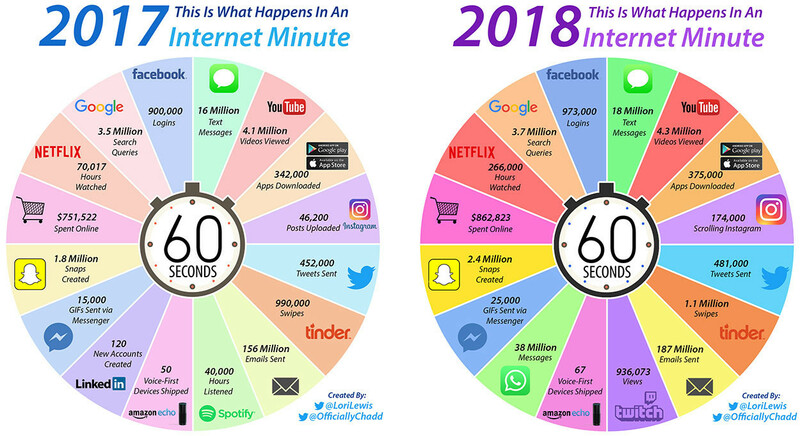 It really helps put an internet minute in perspective. The numbers for these services are so enormous that they can only be shown using the 60 second time scale. The biggest and most noticeable jump comes in Netflix hours watched – a number which we believe may be too good to be true. While we have not seen the exact methodology of these calculations, we do know that in December it was announced by Netflix that users were watching approximately 140 million hours per day. This works out to roughly 100,000 hours per minute according to our math, which is still mind-boggling. See the additional evolution of this chart by checking out the 2016 version as well. This article is written in collaboration with Visual Capitalist.